Ace Cafe Orlando announced today that it is partnering with the Melodic Caring Project to present young patients at Arnold Palmer Hospital for Children live streamed concerts to their hospital rooms in Orlando. The first concert is August 8th, featuring the soulful sounds of Alabama Shakes, the triple Grammy-nominated American rock n' roll band from Alabama, whose latest release debuted at number one on American Billboard 200. "Ace Cafe has a number of exciting things planned for Orlando, and live music will be a cornerstone of what guests can expect at the Ace," said Steve Glum, Ace Cafe North America's chief marketing officer. "Ace Cafe is an iconic brand built on bikes, cars and rock n' roll, and we are thrilled to be working alongside the Melodic Caring Project to bring the healing powers of music to the kids at Arnold Palmer Hospital for Children. We look forward to continuing to build on this relationship and music platform as the Ace joins the Orlando business and entertainment community." During the sold-out Alabama Shakes concert, being held Saturday night at Marymoor Park in Redmond, Washington, the band — one of the most celebrated live acts in the world — will announce the first names of the children who are watching the concert live in their rooms. Additionally, they can participate in a Live Chat communicating directly with the concert production management, and friends and family are also invited to join the live streaming concert. The show will be open to the public. Watch online on Saturday, August 8th at 7:30pm PT / 10:30pm ET to watch the show LIVE at www.melodiccaring.org/watch-live. 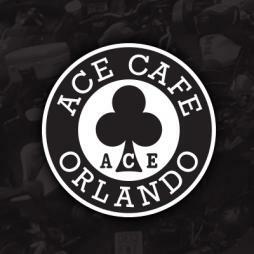 Ace Cafe Orlando will be the first North American venue for Ace Cafe, with an anticipated opening in late 2016. Based upon the traditions of motorcycles, cars and rock n' roll, Ace Cafe North America holds the exclusive licensee rights in North America and South America for the world-famous Ace Cafe London brand, established in 1938, the most celebrated motor-diner on the planet. Ace Cafe Orlando is a full-service restaurant and bar, a cafe, a live music and special event venue, a motor-inspired art gallery and includes a number of retail shops. Covering three acres in downtown Orlando at the corner of West Livingston Street and Garland Avenue, Ace Cafe Orlando welcomes all who share the passion of our traditions, and offers a welcoming atmosphere for dining and gathering. It is designed and built by fellow petrolheads, ensuring that the unique and powerful fusion of motors and music continues to thrive long into the future. Visit: www.acecafeusa.com; Facebook & Twitter @AceCafeUSA; Instagram @acecafeorlando_official. Arnold Palmer Hospital for Children, supported by the Arnold Palmer Medical Center Foundation, is a 158-bed facility dedicated exclusively to the needs of children. Located in Orlando, Arnold Palmer Hospital provides expertise in pediatric specialties such as cardiac care, craniomaxillofacial surgery, emergency and trauma care, gastroenterology, nephrology, neurology, hematology/oncology, orthopedics, pulmonology and sports medicine. In 2013, the hospital achieved Magnet® designation, the "gold standard" for nursing's contribution to quality patient care, safety, research, and service excellence. The hospital has also been ranked as a "Best Children's Hospital" by U.S. News & World Report in seven pediatric specialties. It is the only children's hospital in the Greater Orlando to be ranked. Visit www.arnoldpalmerhospital.com to learn more about all of our specialties.